Home/Basement Flood/What to do when your basement floods? Basement flooding in Manhattan, New York? No one wants to face unexpected issues at home or office. But, it is common to land up in such situations. A flooded basement can be your worst nightmare, leaving you with a sense of helplessness. It usually occurs during extensive rains or storm that cause floods in Manhattan, NY. It could happen when water from a nearby river overflows to enter your home’s basement. Another possible reason behind a flooded basement could be that your home’s foundation has worn down with age. Buildings, just like humans, have a lifeline of their own. After a particular period, it starts deteriorating, which causes leaks in the cement or stone flooring or walls. When these leaks go worse, it leads to a flooding basement. 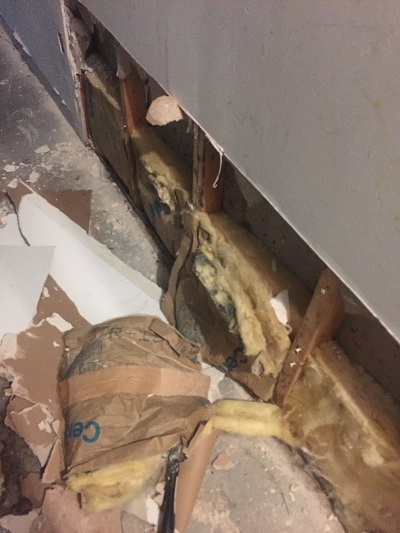 Basement flooding can be a great threat to your beautiful property in Manhattan, the most populous borough of New York City. The city has everything you could wish for – it is quiet but not dull and beautiful while being practical. It is one of the best neighborhoods to live in, when in NY. Give immediate attention to it. You may minimize damage by taking proper actions. You can also protect your family against infections caused by contaminated water. The first thing you should do during basement flooding, is to shut down power around the area. This includes cutting off both electricity and gas connections. You must never enter a flooded area when the power is on. Doing so would put you at a high risk for electric shock and may even cause death. In case normal rains or a flooding river aren’t the reason for your flooding basement, ensure to address the problem as soon as you can. It could have been caused due to a pipe burst, sewage problem or some other issue. You should focus on finding the source of water and prevent further flooding. In case of a flooded basement, you need to think of getting rid of the water immediately. Rather than attempting to do it on your own, it is always a better choice to hire experts. Professionals from water damage restoration companies like New York Water Damage can help you get rid of the stagnant water in your basement. Professionals will be able to remove all the water using powerful pumps, preventing it from causing further damage. Once all water is extracted from the basement, you should remove all the stuff from the basement and leave it to dry for at least 48 hours. You should discard items that still remain damp because they may become a breeding ground for mold and bacterial growth. If the floor of your basement has any kind of carpeting, remove it. Carpeting can prevent the floor from complete drying and may also cause mold growth. Let experts dry out the entire area for you. They will examine your basement for any traces of water, dampness or mold growth. They can speed up the drying process with advanced equipment. Very good written post. It will be helpful to anyone who utilizes it, as well as myself. Keep up the good work – for sure i will check out more posts. Fitflops Sale Clearance UK on What to do when your basement floods?